If you did, and you’re looking for extra income, there may be an answer. It’s possible to pay back the money at full retirement age and reapply for full benefits. Although you can be approved to collect Social Security benefits between age 62 and your full retirement age, this option lowers the benefits available for retirement. For example, if you were born in 1944 and decide to retire at age 62 (four years before your full retirement age of 66), your total benefit reduction is 25 percent. If your full benefit was to be $1,000 a month, your reduced benefit will be $750. However, a little-known provision of Social Security allows you to withdraw your application for early benefits and reapply for your full benefits. The only catch is that you must pay back all the money you received so far. However, because you do not have to pay any interest on the benefits you received, if you can find the money to repay the benefits, it may be worth it. Effectively, the early benefits become a low-hassle, interest-free loan. 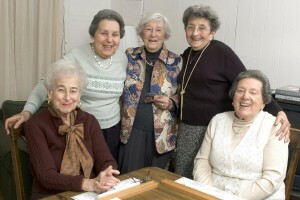 To learn more about Social Security Benefits, visit www.littmanKrooks.com.